Autism is a lifelong developmental condition affecting 1 in 100 people in the UK. It impacts on the way a person communicates and how they experience the world around them. Autism is described as a spectrum condition. This means that while people with autism, including Asperger’s Syndrome, share certain characteristics, they will be highly individual in their needs and preferences. Some people with autism are able to live relatively independent lives but others face additional challenges, including learning disabilities, and need varying levels of support for the whole of their lives. Broadly speaking, about half of people with autism will be at or above the normal range of intellectual ability, and about half will be below the normal range of ability. People at or above the normal range of ability are often said to have “high-functioning autism”, or to have Asperger syndrome (the two are similar but there are differences). Autism is strongly linked to genetic factors. As our understanding of the human genome increases, we are able to identify genetic markers which may result in autism. For different conditions – for example cystic fibrosis – the genetic markers are clear. With autism, there seems to be a range of genetic markers which may produce autism, but which do not invariably produce autism. As an example, there are cases of identical twins where one twin has autism and the other does not. The current thinking, therefore, is that autism results from a combination of a genetic difference and one or more environmental factors. Autism involves a difference in brain development. Understanding is at a very early stage, but researchers are now looking at neural pathways and at (for example) the length of neural connections, and at the differences in brain activity in response to stimuli. Special interests which may be obsessive. Autism affects roughly 1.1% of the UK population. This number comes from a range of studies in children and adults. In adults, the numbers were estimated based on household surveys, but the researchers found similar figures to what had previously been found in children. Diagnosis rates of autism vary from country to country. The difference in numbers comes down to how autism is counted, when it is counted, who is included and how they check the diagnosis. In the UK, a national count hasn’t taken place in a few years, but is due soon. It will be interesting to see the new figures and how they reflect those of other countries. Over the years, there have been many studies looking at the numbers of boys and girls, and men and women with autism. Researchers have calculated that on average, there are four times as many males as females with autism. However, the numbers depend on who you are counting. In people with autism and learning disabilities, there are only twice as many males as there are females. On the other hand, in Asperger syndrome, there are ten times as many males as there are females. Autism can present differently in females, without an accompanying learning disability. Genetics studies have shown that the reason that there are more males than females may be biological – somehow girls are more protected than boys. On the other hand, girls may be missing out on diagnosis because they are better able to hide their difficulties. Many women and girls with autism have learnt coping mechanisms that make them seem like they are able to cope. However, they are also at higher risk of developing mental health problems, and many women and girls are exhausted at the end of the day from the effort it takes to “act neurotypical”. Around 50% of people with autism also suffer from anxiety or depression. Many studies have been carried out to explore mental health problems in autism. Different studies find different numbers, depending on their methods and who they are looking at. Generally, most of the research points to around half of all people with autism suffering from anxiety or depression. In the neurotypical population, no more than about 15% of the population suffer from anxiety or depression. People with autism are more likely to develop mental health problems partly because they do not receive appropriate support. Furthermore, some of the core features of autism, like not understanding some of the mechanics of conversation and social interaction, can cause anxiety. Over 90% of people with autism also have sensory issues. The importance of sensory issues in autism has only really been fully recognised in the past few years. Why are sensory issues important? Sensory issues can have an enormous impact on the quality of life of a person with autism. It can affect the other core features and can also lead to a person feeling extremely anxious about the environment they find themselves in. People with autism are affected in the following main areas: Communication, Social interaction, Rigidity of thought, Sensory issues. People with autism can have an uneven cognitive profile. They can have very good communication skills and interaction skills but struggle with severe sensory issues and need a lot of structure in their daily routines. Others may be completely non-verbal but have mastered other forms of communication such as using an assistive and augmentative communication device. They may still struggle with understanding the complexities of a conversation, but have very few sensory issues. It is extremely important to consider the impact of stress on a person with autism. We all experience stress, and It can affect out ability to think clearly, it can make us become aggressive, it can cause us physical pain and it can affect out decision making skills. Stress impacts everyone, regardless of whether or not they have autism. People with autism experience stress on a much more regular and intense level than the typically developing population, which can exacerbate the difficulties they already have as a result of their autism. This means that it takes longer to take in and process information they are given. Processing delays can range from a few seconds to many minutes. Given the time to process the information, a person with autism will be able to respond appropriately. However, if the question or statement is repeated while the person is still trying to process the information, they will need to start processing all over again. With repeated questioning, a person with autism can become increasingly stressed and find it more and more difficult to communicate. If you know how long to wait, always ensure you take this into account and let others know how long they should wait. If you think the person may have a processing delay, but you do not know how much of a delay they have, wait at least 10 seconds before repeating the question. This means that a person may not understand sarcasm and figures of speech. Not all people with autism have difficulties with literal understanding. Others will be at different levels. Some may not be able to understand sayings like “It’s raining cats and dogs”. Others may wait exactly 60seconds when being told “In a minute”. Others may not understand the sarcastic use of phrases like “Thanks a lot” when a person has been really unhelpful. If you know that the person you support takes things literally, use clear, precise language. If you do not know, be considerate if they misunderstand and tailor your language accordingly as you learn more about their communication style. Some people with autism may not pick up on these aspects of communication. So, if you are unhappy about something, they may not pick up that your arms are crossed and you are tapping your toe. They may pick up if you are using sarcasm. Finally, some people with autism can find making eye contact extremely uncomfortable. This does not mean that they are not listening or engaging in conversation. In fact, they may find it more difficult to listen if they have to focus on maintaining eye contact. Ensure that your body language and tone of voice match what you are saying. Do not rely only on body language to get a message across. Understand that some people may not want to make eye contact. This covers a range of characteristics. Some people with autism use unusual phrases. They may have a monotone voice. They may speak for a long time, especially when they are talking about a special interest. They may not understand the mechanics of conversation so have difficulty with turn taking and knowing when it is their turn to speak. Some aspects of making conversation can be taught and the skills can be useful in job interviews for example. A person with autism should be allowed to spend time talking about their special interest. Some people with autism meet up and take part in “serial monologues” where they each monologue about their chosen topic in turn. Some people with autism find generalising pieces of information very difficult. For example, if they are shown a picture of a cat and told it is a cat, they may not recognise other breeds of cat as being cats. Others may associate taxis with the traditional London black cab, and refuse to use taxis that do not look like this. Ensure that the information you give is clear and be aware of possible misunderstandings due to generalisation. Think about any photos or images you use and whether these could be misunderstood. Some people with autism do not speak at all (known as non-verbal). Some are minimally verbal and others are able to speak but at certain times do not. Just because a person does not speak, does not mean they are not taking it in. Personal accounts from non-verbal people with autism have clearly shown high levels of ability in some areas. Ensure that they have alternate means of communication that allows them to communicate to the same level that speaking would give them. This can be using tablets, computers, pictures, sign language etc. You can know when someone understands or is interested in what you are saying. May appear insensitive or egocentric. May be vulnerable to bullying, abuse and people taking advantage of them. Socialising can be exhausting for a person with autism. Ensuring that the person is able to take regular breaks from socialising can go a long way to helping them to feel welcome and understood in social situations. Social stories™ are useful tools to explain what to do and what not to do in specific situations. Comic strip conversations can help a person to understand what others think of what the person has done and what the person with autism can do instead. Role play can help a person to learn how to respond in specific situations, and practice in a safe environment. Peer mentoring can allow a person with autism to learn about social interaction from a sympathetic and understanding peer. The methods you use should be tailored to the needs and abilities of the person you are supporting. In people with autism, rigidity of thought is characterised by not knowing what might happen if a plan doesn’t happen and needing structure and routine to stay calm. In some cases, this need can lead to rigid behaviours, routines and rituals. Free time can be very difficult for people with autism as they may be unsure of what to do in this unplanned time. Some people with autism have excellent attention to detail, but may not be able to see the bigger picture or being able to cope with change or when things change. They may also have difficulty putting things into context. How long will I be doing it for? When will I be doing something I really enjoy? Structure, timetables and knowing about change in advance can be excellent tools to help people with autism predict what will happen next. Flowcharts can be helpful to support a person to understand the consequences of their actions, or decide which action to take depending on the situation. Many people with autism have a special interest. In contrast to obsessions, special interests bring intense pleasure to the person with autism. They are more than simply hobbies, they are what the person with autism thinks about most of the time. These special interests provide predictability and motivation. Anything can be a special interest for a person with autism, ranging from football teams and television programs to pieces of string and 50 pence pieces or celebrities or famous people. The intensity of the interest is the key point which differentiates it from neurotypical interests. Some people with autism can name every actor who has played Dr Who, the years they appeared and what happened in each episode. People with autism may have more than one special interest, and some people have a range of different interests over their lifetimes. There have been instances where a person with autism has got in trouble with the law due to their special interest. For example, Gary McKinnon’s interest in UFOs led him to hack into a US military computer network. If you are concerned that the special interests of the person you are supporting could get them into trouble, it is important for you to discuss this with them and put in place tools to help them to know what they can and cannot do. Give the person you support plenty of time to spend on their special interest, as it is a source of happiness for them. Incorporate their special interests into other activities to motivate them. Do not use the withdrawal of a special interest as a punishment. People with autism can be over- or under-sensitive to any of their senses including: Touch, Sound, Sight, Taste, Smell, Balance (vestibular) and awareness of where your body is in space (proprioception). A person with autism can have a number of different sensory issues, and can over-sensitive to one sense and under-sensitive to another. Sensory issues can have a huge impact on all other aspects of a person’s life. When a person is stressed, the sensory issues can become much worse. Autism cannot be diagnosed through a simple blood test or examination. Instead, autism is diagnosed using observation and looking at developmental history. There are two main diagnostic manuals that set out the characteristics of autism. The Diagnostic and Statistical Manual of Mental Disorders version 5 (DSM-5), which is written by the American Psychiatric Association. These diagnostic manuals are updated every few years. When they are being updated, work groups are formed to discuss the latest research and understanding of different conditions and whether this affects the diagnostic criteria. Autism Spectrum Disorders: this new umbrella term is a single diagnosis which covers most of the terms listed under ICD-10. Rett’s syndrome is not included as its genetic basis has been identified and it is no longer diagnosed through observation. Restricted, repetitive, and stereotyped patterns of behaviour. Restricted, repetitive, and stereotyped patterns of behaviour and sensory issues. Why did they make the changes in DSM-5? Probably the biggest change in the DSM-5 was grouping all of the separate diagnoses under one single label – Autism Spectrum Disorder. This decision caused a lot of controversy, especially grouping Asperger syndrome into Autism Spectrum Disorder. The reason for this grouping was that there was no clarity on how each of the separate diagnoses differed from each other, and a number of research studies have shown that the diagnosis you receive depends on the clinician’s preference more than actual characteristics. There are some drawbacks to having one single diagnosis, especially for research. Because every person with autism is different, classifying them in one big group makes it difficult for researchers to study smaller subgroups. Big categories mean that the groups are more variable which makes the results more difficult to repeat in future research. Researchers are working on defining smaller subgroups for research purposes (for example the Research Domain Criteria (RDoC) created by the National Institute for Mental Health in the US). We do not know much about the causes of autism. We do know that there is a strong genetic basis for autism. Often, there is more than one person with autism in a family. The genetics of autism are very complicated. There is no single autism gene. Instead there are a number of different genes which have been associated with autism. These genes work in different combinations in different people. Furthermore, research suggests that there are also unknown environmental factors which contribute to autism. What these environmental factors are is not clear, and it is likely that the genes and environment combinations which lead to autism will be different in different families. Bad parenting: when autism was first identified, one of the ideas was that autism may be caused by cold and distant mothers (a theory called the “refrigerator mother hypothesis”). This theory was thoroughly disproven in the 1970s when the first studies showed that autism had a strong genetic component. The MMR jab: in the late 90s and early 2000s, Andrew Wakefield made claims through press conferences and research studies that there may be a link between autism and the MMR jab. These claims were found to be false, the original journal article was retracted and Andrew Wakefield was struck off the UK medical register. A large number of studies from around the world have shown no association between autism and the MMR shot. Despite the evidence that there is no link, there was for many years substantial media coverage of Wakefield’s position which caused a reduction in the uptake of the MMR jab. This in turn has caused an increase in the incidence of very dangerous diseases like measles. There is no cure for autism. People with autism need appropriate support tailored to their needs and interventions which target specific areas of difficulty (for example communication skills, sleep problems and anxiety). Research Autism defines interventions as “any kind of activity (such as a treatment, a therapy or the provision of a service) that is designed to improve the quality of life for people on the autism spectrum”. There are huge numbers of interventions available for autism and it can be extremely overwhelming to try and navigate through everything that is available. Every person with autism is different so it is very difficult to set out which interventions would work for which people. Assessing the evidence base of different interventions is important as it provides information on whether an intervention really delivers what it claims and whether it is worth the time and money. Other factors which can help in choosing interventions is how much time it takes, how much it costs, who needs to be involved and is it available in the local area. Research Autism is an organisation that provides objective information on interventions and their evidence. 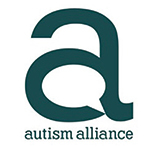 Visit their website – www.researchautism.net – to find out more able specific interventions. Autism is lifelong…We believe that professional care and support will give all people with autism an improved quality of life. Support may vary as some people with autism will need continuous lifelong care, others can live entirely independently and some people with autism will benefit from some degree of support. Together with our member charities we think that one of the main benefits of professional care and support is to minimise anxiety and distress. Support can also expand boundaries. Additionally, where people with autism need a structured day, part of the structure can and should be activities which they enjoy. There are no skills that a person with autism cannot master if they wish to and have the appropriate help and support. Every person with autism is different, and the level of ability varies hugely. Furthermore, stress and anxiety can impact on a person’s ability to complete tasks. Depending on the person and their level of ability, teaching life skills will take more or less time. For example, if the goal is to learn to cook, some may master this in a few months. For others, it may take many years, starting with learning how to make toast and a cup of tea, and moving on to baking a cake and using an oven safely. It is important that we encourage the people we support to develop their independence and learn new skills. Having a ‘can do’ attitude can make a huge impact on whether a person feels that they can achieve new goals. Sometimes people with autism may show stress-related behaviours like harming themselves, harming others or destroying property. This can have a huge impact on their lives and prevent them from being able to access the community. Behaviours of concern are most likely to be caused by stress, but can also be caused by physical illness, pain, and the side effects of medication. Stress can be related to sensory issues, a change in routine, a new environment etc. Sometimes, people with autism are not able to communicate a need, and the behaviour of concern is their only means of communicating this. When the person with autism is less stressed, think about what may have triggered the behaviour and how this can be prevented in the future. Some people with autism can feel embarrassed and guilty after an incident so it is important to ensure that they have support systems in place to help them to talk through things if they need to or just relax. Many people with autism also have co-occurring conditions. These can include a learning disability, mental health problems, but also any other physical health problems, like epilepsy, sleep problems and digestive issues. These co-occurring conditions can have an enormous impact on the person with autism’s quality of life, especially if they go undiagnosed. Unfortunately, some of the features of autism can mean that a person with autism cannot access healthcare easily, or are not understood by healthcare professionals. This can mean there is a delay in their diagnosis, which makes many of these issues worse. Many co-occurring conditions can also be linked to behaviours of concern. For example, research suggests that sleep problems are associated with more behaviours of concern.